Thu 01 Mar 2018 Work on the third and fourth albums to begin in the summer. 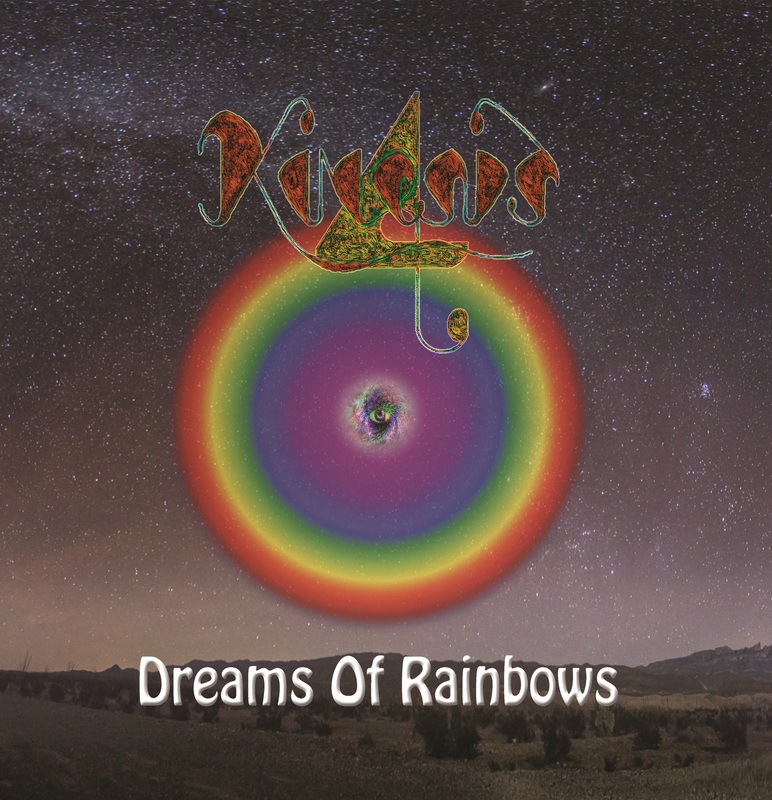 Wed 06 Sep 2017 Woody's Rock Review have uploaded a review of 'Dreams Of Rainbows'. Sat 12 Aug 2017 New album 'Dreams Of Rainbows' receives glowing review in the Aug/Sep Issue 22 of The AND Guide (page 21) which is free from music venues, bars, cafes and online ..."Dreams Of Rainbows is a rich and varied album of real quality and a must listen for rock fans". Thu 01 Jun 2017 The new album 'Dreams Of Rainbows' released. Limited run of 50 copies on CD only. Go to the 'SHOP' to get your copy now! Fri 26 May 2017 Original line-up reunite to play the first of two gigs at the Farnham Flash festival in June - see GIGS page. Wed 22 Mar 2017 Gigs page updated with new shows. Follow up album to be released in June. Still seeking a permanent drummer and guitarist for the band. We've been invited to play on bank holiday Mon 29 Aug 2016 at this years Carshalton Environmental Fair, Carshalton Park, Ruskin Road, Carshalton, SM5 3DD. We're really excited to play our first outdoor festival in ages and at such an event for a worthy cause. We'll have great friend and mighty drummer Leon Munkley guesting on the skins for this one. If you can make it you'll be in for a treat. Mon 29 Feb 2016 Official video for 'All I Need' released online. Wed 02 Dec 2015 Official video for 'The Word Is Out' released online. Tue 22 Sep 2015 Official video for 'Come With Me' released online. Fri 04 Sep 2015 Ground work and preliminary filming for the next videos begin. Mon 20 Jul 2015 Footage for the first music video has been completed. Beginning the editing. Mon 18 May 2015 Rock Regeneration review received! 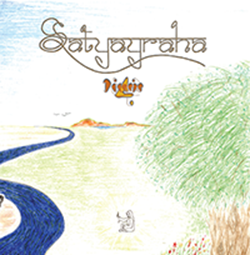 Wed 01 Apr 2015 Received our first ever review for SATYAGRAHA! Go to the MEDIA link above for more info. We're gigging at the Railway as part of a Sunday Acoustic Special with lots of other acts. Doors open 7.30pm. £3.50 entrance, bargain! Album launch gig (FREE ENTRY) at Hundred Records, 47 The Hundred, Romsey, Hampshire, SO51 8GE. Hundred Records has kindly let us promote the album with an acoustic set. They will also stock our CDs (with Vinyl to follow on Fri 10 Apr). It's FREE ENTRY and we'll play a 30min set starting 4pm. It would be fantastic and mean a lot to us to see you at this event! Wed 11 Mar 2015 Two acoustic gigs confirmed in London for April. Check out the Gigs page for all the info. The wait is finally over. The Kinesis 4 debut album 'SATYAGRAHA' is here at last! We've been rehearsing, gigging and promising but now we have something to show for all our efforts. 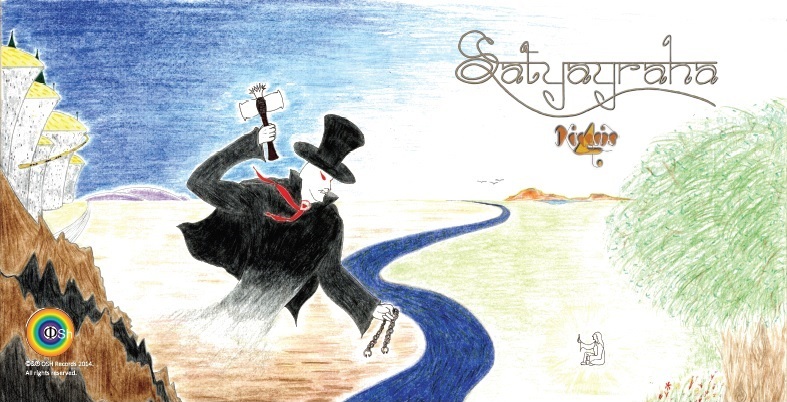 A professionally recorded and packaged album, SATYAGRAHA is a solid eclectic mix of nine rock/melodic rock tracks laden with guitars, subtle keyboards, drums, vocal harmonies and catchy riffs. The CD and Vinyl formats have the gatefold cover sleeves scanned from original hand drawn artwork (no computer software used), band photos and all the lyrics. This is a limited production run of 500 x CDs and 250 x Vinyls. The CD is only available from this site. The download version is available from CDBaby, Amazon, iTunes and Spotify. SHOP for more info. All contents © Opkar Hans 2014. All rights reserved.